When Martin Seligman and his colleagues at the University of Pennsylvania were finalizing a research experiment on gratitute and the depressed, they got a surprise. The experiment was simple, almost ridiculously so. During a period of a few weeks, they asked the participants to fill out daily a so-called gratitude journal. A gratitude journal is nothing more than a diary or notepad in which you regularly note down things that you are grateful for. This could be great and important things such as the love one feels towards family members or friends, or small things such as the sun shining that day, or that you saw a movie that you liked. As part of the research experiment, Seligman asked the participants to record how deep their depression was. And here’s the surprise: it was those with the deepest depression that reported the greatest effect! This is an almost provocative scientific discovery. After decades of the development of the various forms of therapy and anti-depressant drugs it has now been confirmed that writing down something that you are grateful for can have just as much of an impact. Here is an attempt to explain why this simple technique works. The depressed live in a bubble, where all influences from the outside world are translated before they reach the person in the bubble. This is in itself a universal phenomenon, we are all in such bubbles; the difference is whether the bubble has a negative, neutral or positive effect on how it impacts us. In my book, Rise from Darkness, I have called this phenomenon reality filters. It’s irrelevant to talk about reality as it objectively exists; the only thing that matters is how the world appears to the individual. A banal example of how reality changes with these filters is how a few glasses of wine can change how you look at the world, or the difference in what is reality between a Communist and a business executive, or even an adult and a youth, and so on. These filters are formed by many different things, and most of them come as we grow up, and from things we’ve experienced. If you have experienced violence or abuse then you will likely see men (or women, not all violence is carried out by men) in a completely different light than others. If you grew up in a religious sect, chances are that you will see the world differently than someone who grew up among atheists. If you are a professional in the military you will look differently on international politics than if you were a pacifist. Back to those who are depressed. Many (most?) depressed people will look at themselves and the environment through a very grim reality filter. Many will constantly go around and break themselves down, often through internal dialogue. “You idiot,” they might say, “I never succeed at anything.” Or, “I am ugly, and no one will ever like me.” If you state this last fact to yourself a hundred times every day, what do you think it will do to your chances of finding a partner? Your reality filter becomes a self-fulfilling prophecy. One finds that one is looking for. Because of this, reality filters self-reinforce reality. If you tell yourself that you can not handle social situations because of social anxiety, then it will be less easy to deal with social situations. The social anxiety will increase, thus giving you one more reason to tell yourself that you can not handle social situations. And so on. If your depression is associated with seeing yourself as unattractive, then you will be less attractive and thus more depressed. To break this self-reinforcing mechanism you must learn to think in a different way. The good news is that the positive spirals are also self-reinforcing. Imagine a river that flows down a slope. The river digs deeper and wider with each passing day. However, if one day an excavator were to dig a small alternative passage, some of river water will flow down that route. If each day the excavator were to dig the alternative course of the river a bit deeper or wider, more and more water will flow that way. Eventually, it will no longer be necessary to excavate further; instead the alternative course of the river will itself increase its depth and width taking the flow of more of the water that way. Gratitude may be the excavator. If most of your thoughts revolve around everything that is wrong with the world (war, poverty, environmental destruction, etc.) and everything that is wrong with yourself (bad relationships, wrong job, the wrong appearance, etc. ), then it’s no wonder you may become depressed. But if you can manage to gradually think more about what you can actually be thankful for in life, and less on what you are missing, then you have begun to think in a different way. By making a habit of it, the positive aspects of your life will become increasingly important. The glass can now be seen as half full rather than half empty. Gratitude alone will usually not be enough to eliminate depression. But it can be a major contributor. And everything helps to make a difference. If you do not act because you are waiting for a cure for depression that is 100% effective, you will never act. There are no such cures, but there are many different techniques which together can make a huge difference. Therefore, I would recommend to anyone who is struggling with depression to try using a gratitude diary for a few weeks. And once you’ve done that, you can just continue, because it may just become an advantageous habit for life. Perhaps this small action will prompt and motivate you to take other positive measures; it may inspire you to take your fitness more seriously or to change the way you think about your cognitive therapy, and to become more socially active, etc. 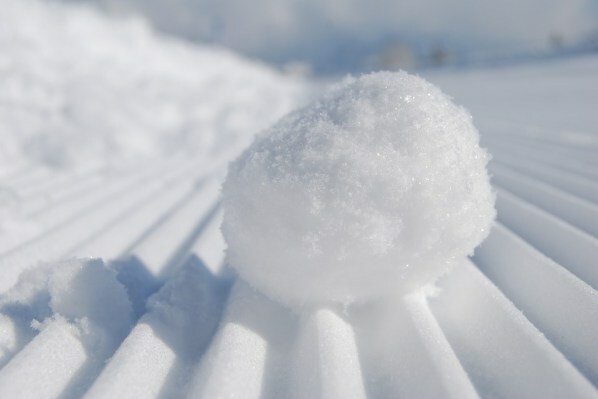 More gratitude can be like a snowball rolling down a snowy hill. Who knows where it will take you?